propaganda - information, especially of a biased or misleading nature, used to promote or publicize a particular political cause or point of view. proverb - a short pithy saying in general use, stating a general truth or piece of advice. prohetic - accurately describing or predicting what will happen in the future. legitimize - make legitimate or acceptable. colonize - to send a group of settlers to (a place) and establish political control over it. feigned - simulated or pretended; insincere. innate - born with; natural. primitive - not developed or derived from anything else. indigenous - originating or occurring naturally in a particular place; native to a place. pivotal - of crucial importance in relation to the development or success of something else. exhort - strongly encourage or urge (someone) to do something. empirical - based on, concerned with, or verifiable by observation or experience rather than theory or pure logic. progenitor - a person or thing from which a person, animal, or plant is descended or originates; an ancestor or parent. synonyms: originator, creator, founder, architect, pioneer. ingrained - (of a habit, belief, or attitude) firmly fixed or established; difficult to change. permeate - spread throughout (something); pervade. hierarchy - a system or organization in which people or groups are ranked one above the other according to status or authority. degrading - causing a loss of self-respect; humiliating. caricature - a picture, description, or imitation of a person or thing in which certain striking characteristics are exaggerated in order to create a comic or grotesque effect. Define enlightenment and use it in a sentence. ​ True or false: African people are the oldest people in the world? ​ True or false: African people invented the bow and arrow? 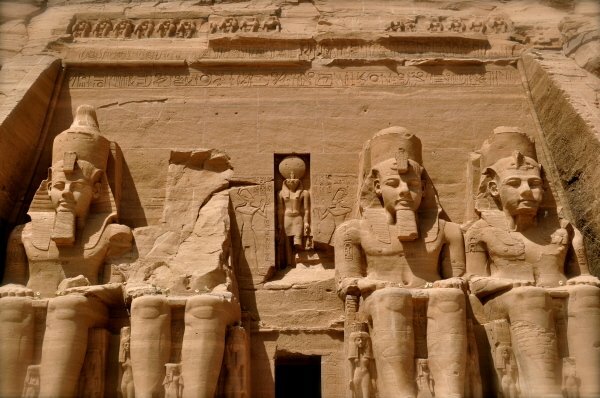 How old was ancient Egyptian civilization when it was first conquered by the Greeks? ​ Define primitive and use it in a sentence. What continent did all human beings come from? Put the following religions in order in which the were founded: Islam, Chrisitanity, Judaism, 42 Laws of Ma'at (African spirituality). South Africa History Online: Early African Civilizations: Ancient Egypt, Nubia and Swahili. This website provides an overview of the histories of the ancient African civilizations of Egypt (Kemet), Nubia, and Swahili. It provides information on the geography of the African continent, climate, social structure of each of the civilizations and more. Great overview of early African major civilizations. Early African History: fire, farming, Egypt, and the Bantu. This website by professor K.E. Carr provides a brief history of the origins of human beings in Africa and their evolutionary advancement. 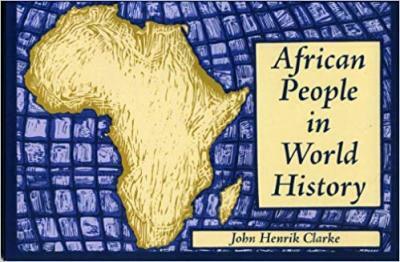 African People In World History, by Dr. John Henrik Clarke.